What cute little things they are. So bright eyed and fat with beautiful thick white hair. Their Mom is a Lab mix and we think these are labs also. 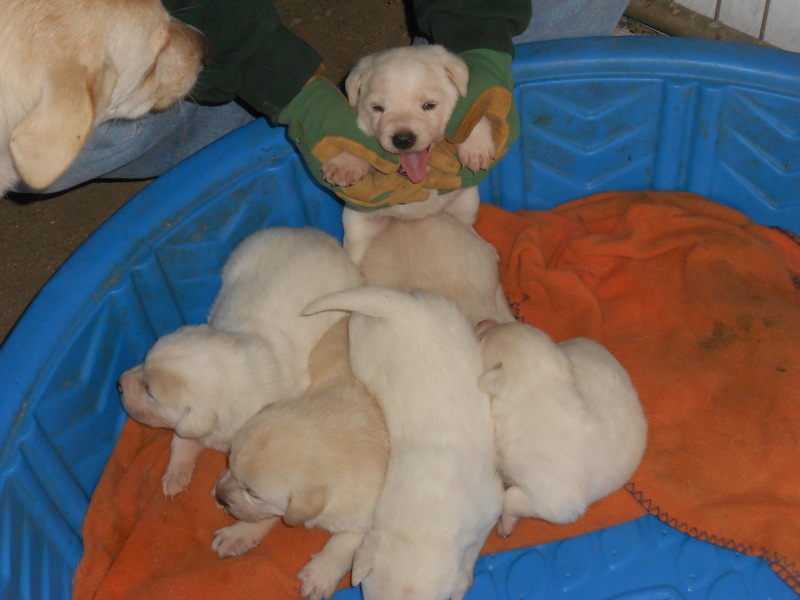 Some are light tan and others have tan spots on top of the white coat. They are only 3 weeks old—so need to wait a few more weeks before placing them on our adoption list. Will keep you posted of their progress.